Is the games industry racist, sexist and ageist? The world's first census of videogame characters proves that the games industry is unrealistically skewed towards representations of young, white males at the expense of woman, ethnic minorities, the elderly and children. The world's first "virtual census" census has been carried out by researcher Dmitri Williams at the University of Southern California in association with researchers at Indiana University, Ohio University and Virginia Polytechnic Institute. 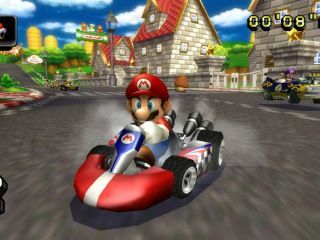 Williams told New Scientist that it was the first research of its type on gaming characters and was based on the top 150 games sold on nine gaming platforms – the Xbox, Xbox 360, PlayStation, PS2, Nintendo GameCube, PSP, Game Boy Advance, Nintendo DS and the PC. The researchers watched 'seasoned gamers' playing each game for a period of half an hour and recorded the demographic profile of each character appearing on the screen, weighing the results accordingly based on the games' overall sales. Strangely, the research took place back in 2006, but its findings have only just been published. Comparing their results with data from the 2000 US census, the research shows that male characters were "vastly more likely to appear" in games than female characters, making up 85 per cent of characters, compared to 51 per cent of the real US population. African Americans were under-represented by 13 per cent, Hispanic/Latinos by 78 per cent, while Asians were over-represented by 25 per cent and white people by 7 per cent. "Games produced in Asia could account for some of the over-representation," Williams told New Scientist. Williams argues that the discrepancies the research has identified could well be "a potential source of identity-based problems" for gamers. You can check out the full census results of the world's first 'virtual census' of videogame characters online.